It all begins with a phone call, an email or a text. Someone reaches out with a unique problem property and asks me to help them. I know that every house has a story, a unique set of issues that need to be dealt with one by one. Some are very easy and others just need to be sorted out. The good news is that I don’t charge a fee and I am pretty much the best at what I do. My name is Peter Westbrook and I am a real Estate Investor and we buy houses in Stockton, Sacramento, Lodi, Modesto and Manteca, CA, and every day I strive to help people turn an emotional and distressful house issue into a problem solved. This is the story of Ann, widowed, 89 years old and living alone. She owned 2 Houses owned free and clear, but with very little resources to deal with either. She called me that fall morning and I could hear in her crackling voice that the call was very difficult for her. She needed help. This story starts in 1958, Stockton, CA in what was then central east Stockton. Ann and her mother purchased a 1 bedroom 1 bath bungalow with a whopping 600 square feet on a 5000 square foot lot as a rental property. For years things were just fine. The tenants and landlords knew each other and there was a respect for each other and the property they occupied. As Ann tells the story, “when we bought the house, it was a lot easier. My husband was alive and he handled most of the problems with the house. He made it easy for me. Tenants would move in and out they cleaned and they were concerned about deposits and leaving the house the way that they moved in. She says that when “problems arose, we took care of them together. It was a partnership and people paid their rent. 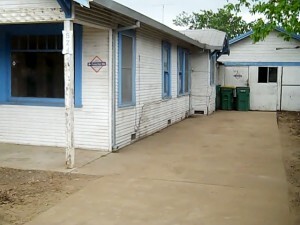 It was a different time, people were respectful and grateful to have a place to live”. Ann also remembers that things changed about 25 years ago. “People lost their manners. 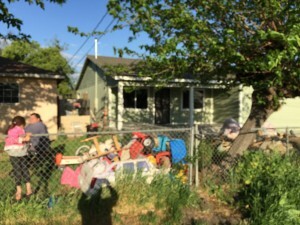 She noted that people shunned personal responsibility and as the years have passed tenants have become more difficult and damage to the house had gotten progressively worse. It also cost a lot more to fix what they broke and renting the house became a lot more difficult as the neighborhood changed.The house was a liability. Things became increasingly difficult when her husband passed. She was now responsible for everything. She admits that she was intimidated by even the simplest of tasks and admits that she got taken advantage of. Her Daughter encouraged her to sell and called a local real estate agent. 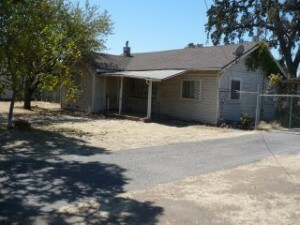 She was told that it would be next to impossible for her to sell the house while it was occupied by tenants. Ann admits that she didn’t want the tenants to know and so rather that forgo the rental income she remained a landlord. Then approximately 10 years ago, the unthinkable happened. The last tenant stopped paying rent. For three months Ann attempted to collect the rent and work with them. She accepted partial payments and then all communication stopped. She would knock on the door and they would ignore her, or they just weren’t there. Finally she had had enough. 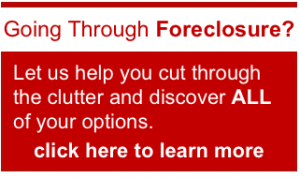 Ann had never handled an eviction before and as a way to save money she attempted it on her own. The paperwork was confusing and her first attempt had failed miserably giving the tenants another 90 days to live rent free. In that time, her homeowners insurance policy had termed out and lapsed. She did not have the money to keep it current. She had been borrowing money from her daughter or taking it from savings and she just let the house go. To make matters worse, the tenants finally moved out without notice and left the house unlocked and vulnerable to vandals and squatters. Keep in mind that this was at the peak of the great recession and any vacant house became an instant target. At age 79, Ann was already retired, widowed and on a fixed income, her story quickly turned into a nightmare. Any gains that she had made by renting the house were quickly drained by trying to secure the house from the vandals and squatters that would become the last straw financially. In a matter of days, they substantially destroyed walls as they stripped the house of wire and metal pipes, removed the exterior doors and stole cabinets and fixtures. The house was for all intents and purposes destroyed. She couldn’t react fast enough and to make matters worse she didn’t have the money to repair the damage. 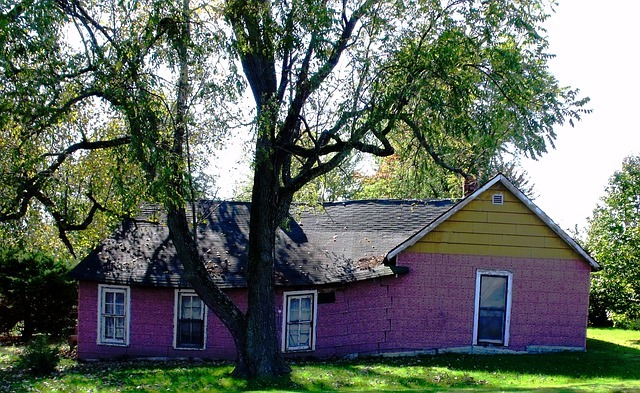 The house that was once an asset had turned into a financial ongoing liability. The longer the house sat broken the worse it became. She hired a handyman to board up the house and asked neighbors to keep and eye out and call her if there were problems. Despair and depression had taken hold and Ann truly did not know what to do. 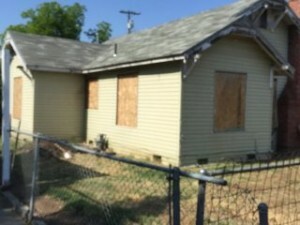 In the mean time she continued to pay the property taxes and a handyman to keep the property clear of debris and weeds. The lot over time became a dumping ground for all sorts of debris and refuse. It was a magnet for all of the bad elements in our society. Her efforts were not enough and the neighbors started to complain. Next came the code enforcement officers with notices pinned to the front door. She had one week to address the problem or the city would hire a contractor to take care of it and bill her. If she didn’t pay they would place a lien on the property. Where Code Enforcement in Stockton travels the health department is usually close behind. That was the case with this house. Evictions, vandals and squatters are all a recipe for the Health Department to tag a property as uninhabitable until their conditions are met. It is the counties way to place additional pressure on an owner and not allow the property to generate any revenue. For owners with the financial resources to fix things that works, but for Ann, it was just another reason to board up the house and sell it. Ann just wanted out. The financial nightmare had spiraled out of control. A neighbor had offered her a low ball price for the land and she was almost ready to take it when she called me. She was distraught and she needed help. She suspected her neighbor was part of her nightmare and she resisted at every turn. The City Code Enforcement Officers were relentless and the neighbor that had made the offer was the one who called them to begin with. That very same neighbor had been remodeling his own house and rather than going to the dump, he disposed of his debris in her yard and then called code enforcement. Ann was so distraught that her fight was done. She had just given up. The fines and levies kept her up at night and as she tells the story she had no where to turn. She just wanted to sell and I knew that if I offered her anything more than that neighbor had I could buy the house. 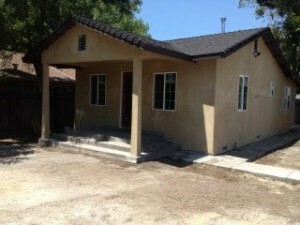 I offered $10,000 more and offered to pay the closing cost and the code enforcement fines and fees through escrow. She cried. Ann was relieved. There was no house to evaluate. It was truly destroyed. Even the roof had given way and by the time the house was sold. I could only do a land evaluation with the possibility of keeping one corner of the existing structure to perform what is called an addition and remodel. 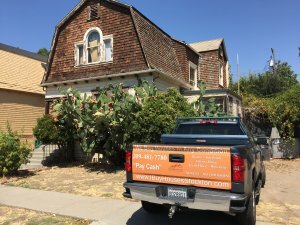 The value was in all of the utility services already on the property and the credits that I would receive when I pulled the building permits. There were no comparable sales for her property. We were talking land value at this point. At the time that it was probably worth $22,000 for that part of Stockton. I also knew that if I built a 1500 square foot house I could get top dollar for that neighborhood. So I made the offer knowing that I was over paying by about $8,000. Its was fine with me, I got to help Ann and feel good about what I do. 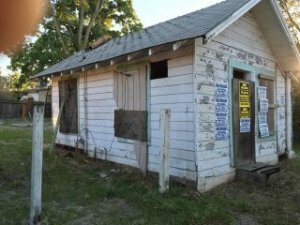 When it was all said and done there were $3,500 of fines and liens from the City of Stockton Code Enforcement and Health Department. 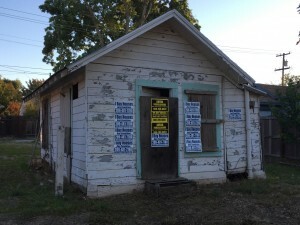 When I bought the property I was forced to take the property and Title Subject to the Code Violations remaining in place until I corrected them and and they were signed off. It’s much like a fix it ticket. I was given 6 months. 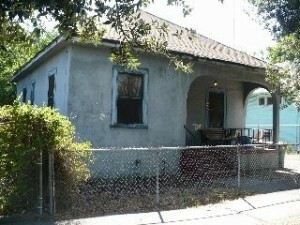 I made Ann an all cash offer to buy the property and take over all of the code enforcement and health department issues. 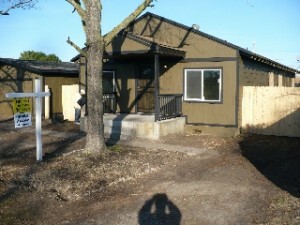 We were able to close on that transaction within 10 days. 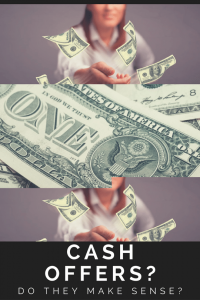 Keep in mind that when there are liens on a property a demand for payoff is issued from the Title Company to the County and it took 5 days for them to respond with a dollar amount. At those moments its important to line up the resources necessary to protect your assets while at the same time maximize whatever equity your house has accumulated. 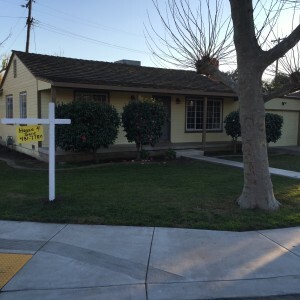 I do not want to list your house for sale, I want to buy it as We Buy Houses in Stockton CA in any Condition, we pay cash and we can probably help you too.